Human immunodeficiency viruses (HIV) have exhibited an extraordinary capacity for genetic change, exploring new evolutionary space after each transmission to a new host. This presents a great challenge to the prevention and management of HIV-1 infection. 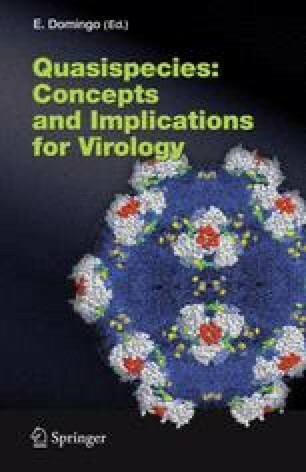 At the same time, the relentless diversification of HIV-1, developing as it does under the constraints imposed by the human immune system and other selective forces, contains within it information useful for understanding HIV epidemiology and pathogenesis. Comparing the sheer mutational potential of HIV with actual data representing viral lineages that can survive selection suggests that HIV does not have unlimited capacity for change. Rather, clinical and bioinformatic data suggest that, even in the most diverse gene of the most highly variable organism, natural selection places severe limits on the portion of amino acid sequence space that ensures viability. This suggests some optimism for those attempting to identify sets of antigens that can generate effective humoral and cellular immune responses against HIV.